The Grants Business Analyst II will report directly to the Senior Director of Product Support. As a team, they will interface with both functional and technical staff on the PeopleSoft Financials support team as well as interface with the Office of Sponsored Programs (OSP) and the Office of Grants and Contract Administration (OGCA) staff and all levels of university business officers, school and department administrators, affiliate institutions, and staff. 1.Serves (and on a daily basis) as the liaison point person between UTS and OSP/OGCA for the PeopleSoft Financials system (grants modules). 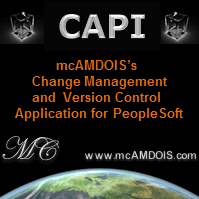 7.Participates on projects to upgrade, or apply bundles and fixes, to PeopleSoft Financials. Ensures configuration, testing and documentation are completed and signed-off to minimize disruption to the institution. At least 3 years of experience working functionally with the PeopleSoft grants module within an institution of higher education with multiple modules in place and/or equivalent combination of experience in PeopleSoft grants and Research Administration.